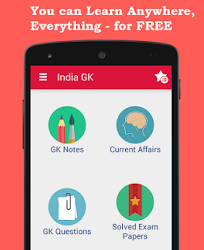 5, 6 February 2016 Current Affairs MCQs, Quiz, Questions: Current Affairs for February 2016, Daily Multiple Choice Questions (MCQs) for India GK, World GK and current affairs with Collection of daily objective type Question by www.Indiagk.net based on General Knowledge (GK) and General Science (GS) Questions for UPSC, State PSC, SSC, Police exam, Railway exam, SBI, Bank PO, IBPC, SSC, LDC, UDC, Army, Airforce, Navy, Coast Guard, Bank Clerk, TET and all entrance examination with current affairs News, Multiple Choice Questions (MCQs) available on Website www.IndiaGK.net and Android Apps with daily updates:. A 4-day National Arogya Fair-2016 begins at which city ? Explanation: The 4-day National Arogya Fair began at Dehradun in Uttarakhand today. The Fair has been organized by the Ministry of Ayurveda, Yoga & Naturopathy, Unani, Siddha, Sowa Rigpa & Homoeopathy (AYUSH) in collaboration with the State government of Uttarakhand and the Confederation of Indian Industries (CII). The Fair was inaugurated by the Minister of State for AYUSH (Independent Charge) and Health & Family Welfare, Shri Shripad Yesso Naik and Chief Minister of Uttarakhand , Shri Harish Rawat. Who inaugurated the 12th South Asian Games 2016 ? Explanation: Prime Minister Shri Narendra Modi on 5th February inaugurated the 12th South Asian Games, 2016 in a glittering ceremony at the Sarusajai Sports Complex in Guwahati. The Flame of the 12th South Asian Games was brought into the grounds by Gagan Nareng and was relayed through by eminent sport personalities including Monalisa Mehta, Bhogeshwar Baruah, Anju Bobby Goerge , Krishna Poonia and Rani Nagpal. Baichung Bhutia did the final lap and lit the digital flames in the centre of the ground. The 12th South Asian Games, 2016 is the first international multi-sporting mega event in the North Eastern region. Athletes from eight member countries namely – Afghanistan, Bangladesh, Bhutan, India, Maldives, Nepal, Pakistan and Sri Lanka will be participating. NDRF celebrated its 11th raising day on February 5th 2016. NDRF stand for ? Explanation: President of India, Shri Pranab Mukherjee has extended his greetings and good wishes to all the officers and men of National Disaster Response Force (NDRF) on the eve of its 11th Raising Day on February 5, 2016. National Disaster Response Force (NDRF) is an Indian police force constituted "for the purpose of specialist response to a threatening disaster situation or disaster" under the Disaster Management Act, 2005. The Chairman of the NDMA is the Prime Minister. A.G. Krishnamurthy who passed away in Hyderabad on 5 February 2016. He was the founder of which iconic advertising agency? Explanation: Krishnamurthy had founded Mudra Communications in 1980. Mudra Communications was owned by Reliance and it went on to become India’s third largest advertising agency in 1989, and played a hand in building brands such as Vimal Fabrics and Rasna, a soft drink concentrate brand, into industry leaders. In March 1991, Krishnamurthy set up Mudra Institute of Communications, Ahmedabad (MICA) that nurtured India’s growing adverting industry with trained talent. Which spacecraft has made an adjustment to its flight path, all set for a meeting with the largest planet in the solar system, Jupiter? Explanation: NASA’s Jupiter bound solar powered Juno spacecraft has executed a manoeuvre for adjusting the flight path, setting the stage for a meeting with the largest planet in the solar system. Launched from earth in 2011, Juno spacecraft will reach Jupiter in the month of July. The Juno spacecraft's thrusters consumed about 0.6 kg of fuel during the burn, and changed the spacecraft's speed by 0.31 metres per second. At the point of the manoeuvre, Juno was about 82 million km from Jupiter and approximately 684 million km from Earth. Who wins first Gold for India in 12th South Asian Games 2016 ? Explanation: India opened its account with Gold that too by women. Indian woman cyclist claimed the first Gold medal in the 30m Individual Time Trial cycling event. Bidyaluxmi Tourangbam claimed the first Gold for the country by winning the cycling race. The 2nd place also went to the Indian eve, Chaoba Devi winning Silver.